Wales-Marcus A. Wysocki, 47, passed away August 8, 2018. Marcus was born August 6, 1971 in Hartford, CT to Tadeusz S. Wysocki Jr., and Yolande A. (Martin) Wysocki. He was a Hampshire Regional High school graduate and a graduate of Springfield Technical Community College with an Associate Degree in Mechanical Engineering. 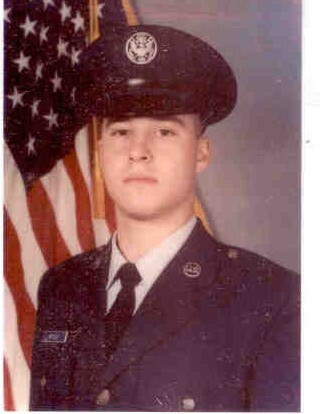 Marcus served in the US Air Force as a combat camera technician for 2 tours of duty.. He loved nature, the great outdoors, and was an avid gardener. He had a gift for calling in birds, and other animals from the surrounding wilderness, and swamps.Marcus was loyal to his family and friends. He always helped those with disabilities, and would place their needs before his own. Marcus is survived by his loving parents, many extended family members and countless friends from all over the world. Marcus will be sadly missed. The family wishes to have several Life Celebrations and the first one will be at the Nipmunk PowWow at Lake Siog ( Holland ) the 2nd weekend in September. This event would be open to the public between 12 noon and 5 PM for both Sat. & Sun. The opening Honor Dance is sacred to all the Tribes, and out of respect, should not be recorded. However the Inter-tribal dances, story-telling, children games, and many other events can be recorded, and people are encouraged to ask questions, take pictures or video. A Celebration of Life will be held Saturday October 20, 2018, at 12 noon, at Wales #4 Cemetery, Laurel Hill, Wales, MA. A gathering at the Wales Senior Center on Rt. 19, will be held after the conclusion of the celebration. In lieu of flowers donations may be made to the Marcus Wysocki Memorial Fund, care of Easthampton Savings Bank, 36 Main St., P.O. Box 351, Easthampton, Ma 01027.